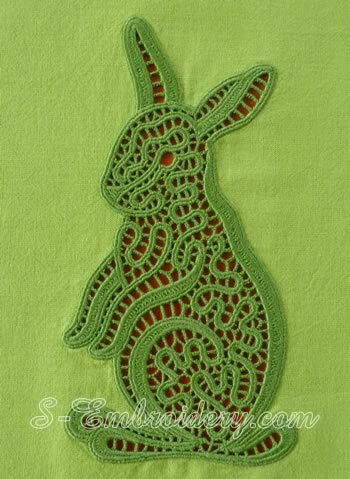 This bunny machine embroidery design can be used both as cutwork lace and as free standing lace embroidery. To use it as free standing lace just skip the first color. The design will fit in 5x7 (130x180) hoops or larger. 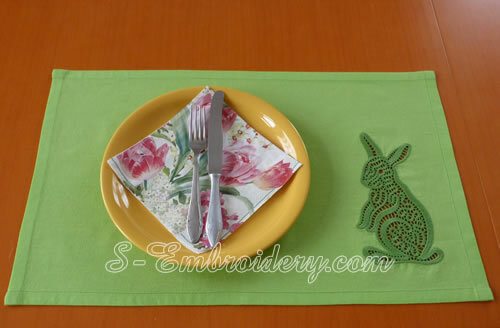 The lace bunny embroidery design comes with instructions for creating the place mat, featured on our web site.